Ready to build your strength, flexibility, and balance with yoga? You'll find yoga videos scattered across the web, but one site you might want to bookmark is DoYogaWithMe. 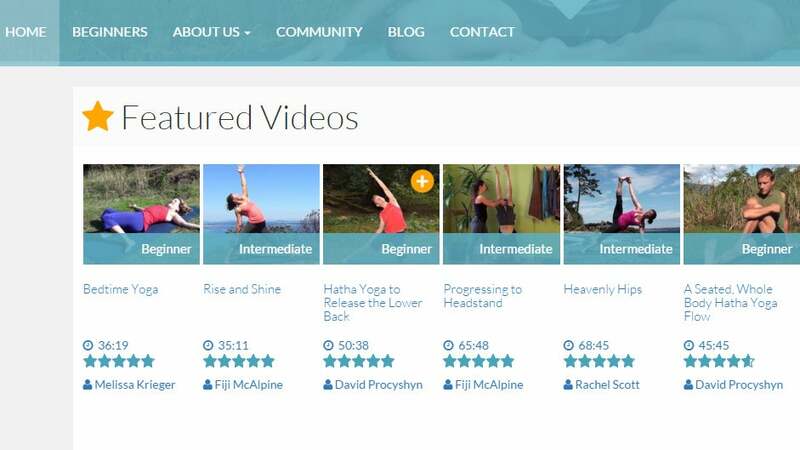 The site offers videos for all levels in a wide variety of yoga styles and needs (including yoga at work, prenatal yoga, and power yoga). You can browse by difficulty, video length, style, and specific teacher. Most of the videos are over 20 minutes long, but there are some shorter ones available as well. Some of the videos require a membership, which you can get either as a $US5 ($7) monthly subscription or a one-time donation in the amount of your choosing (the site runs on donations). You can also buy any video in three formats: large screen ($US9 ($13)), mobile ($US6 ($9)), or audio only ($US3 ($4)). All in all, an excellent resource for beginner and advanced yogis alike.